Reading and entering data is easy, even in dimly lit areas or when the terminal is held at arm's length for scanning. The PDT 7246 takes portable computing to extreme environments. The PDT 7246 features a powerful processor, voice paging, touchscreen control, and 1D and 2D barcode reading. 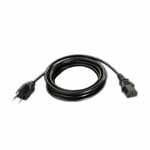 The PDT 7246 is ideal for the most demanding environments in stores, warehouses or in the field. Microsoft MS-DOS or Microsoft Windows CE operating systems, plus 4MB of RAM (expandable to 16MB) and from 4MB to 32MB of flash memory assures excellent performance even when running large applications. An integrated PCM CIA slot and durable internal antenna link mobile workers to host-based data and applications over a Symbol Spectrum24 wireless network. Each unit comes with a user's manual. The PDT 7246 from Symbol Technologies takes portable computing to extreme environments. This lightweight handheld terminal features a powerful processor and innovative productivity enhancements including voice paging, touch screen control, and one- and two-dimensional barcode scanning. Engineered to perform under the harshest operating conditions, the PDT 7246 is built tough to withstand multiple 4 ft./1.2 m drops to concrete. The PDT 7246 is packed with features that make it perfect for the most demanding data management environments – in stores, manufacturing plants, warehouses or on the road. Powering the terminal is a fast, 486-based, 32-bit microprocessor that runs industry-standard Microsoft® MS-DOS or Microsoft Windows® CE. 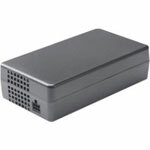 The terminal comes with 8 MB RAM and 8 MB flash ROM for standard DOS applications or 16 MB RAM and 16 MB flash ROM for DOS or Windows CE applications. In addition, storage memory can be expanded via factory-installed industry standard compact flash cards. This assures excellent performance, even when running large applications for data-intensive tasks such as tracking inventory, ordering merchandise or managing material, vehicles and equipment. An integrated PCMCIA slot and sturdy internal antenna link mobile workers to host-based data and applications over a Symbol Spectrum24® wireless network. With its voice paging capabilities, workers now only need one appliance, the PDT 7246 , to stay in touch with associates while collecting data at the point of activity on the sales floor, at the receiving bay or in the storeroom. The PDT 7246 is equipped with a vibrating pager which can be used to inform the user of successful decode in truck yards, plants and other high-noise areas. Everything about the PDT 7246 is versatile including data transfer. The terminal communicates directly with a host or peripheral device such as a printer via the built-in infrared (IrDA) communications port. The terminal can also use single or multi-slot cradles to communicate with a host computer, modem, or printer. With the PDT 7246 , reading and entering data is easy, even in dimly lit areas or when the terminal is held at arm's length for scanning. The top-mounted 1/4 VGA-size liquid crystal display is angled upward and backlit for comfortable viewing. The display and its convenient built-in touch screen with virtual keyboard are encased in tough polymer that protects them from dust and moisture. The terminal grip has a futuristic handle-forward design and ergonomic contours that f it the hand snugly. The first stage of the trigger squeeze initiates the touch screen, the second stage activates the scanner. 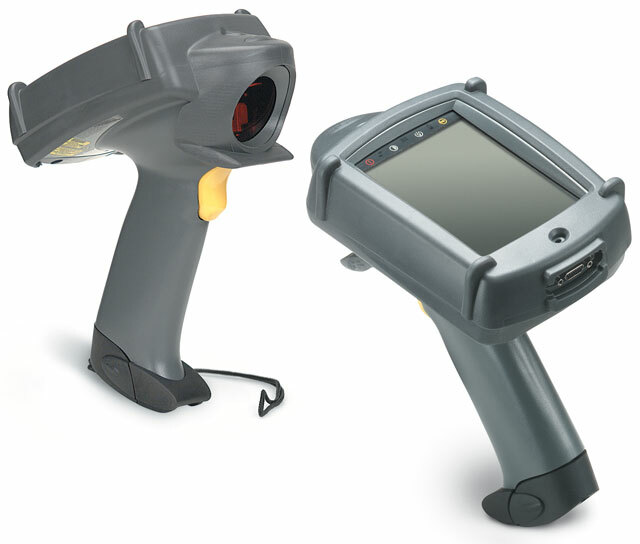 The standard scan engine in the PDT 7246 is the Symbol high-performance SE 2200 that reads both 1-D and 2-D barcodes. The SE 2200 delivers exceptional scanning performance in an impressively small package –which is just one reason the feature-packed PDT 7246 weighs in at just 21 oz./595 gm (23 oz./652 gm for the wireless model) and stands less than 8 in./20 cm high. A version of the PDT 7246 is available that reads barcodes at distances out to 30 ft./9 m.
For maximum operating convenience, the PDT 7246 comes with a high-capacity, quick change 7.2V, 1600 mAH "smart battery" that signals when to recharge. Back-up power maintains data in RAM for up to 10 minutes while the battery is being replaced. The terminal slips into an optional single-slot or multi-slot cradle for battery charging and data transfer. Batteries can also be recharged with the separate multi-slot battery charger. The PDT 7246 is backed by Symbol Technologies' worldwide service, repair and support network. Symbol systems are critical to business success in data-intensive, time-sensitive environments because our systems help you capture, access and manage information at the point of business activity.